It's funny how the mind works sometimes. It can fixate upon the most abstract detail of an evening when tragedy struck. And such is the focus of Jordan B's I Remember the Rain, which tells the emotional and devastating story of that one evening in the character's life. 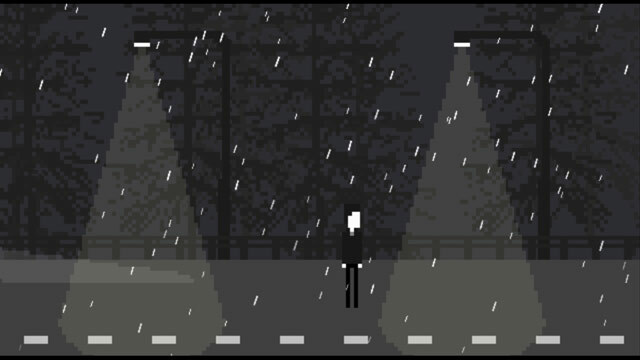 Just like its namesake might imply,I Remember the Rain focuses on the little details and illustrates the feeling of loss in a poignant way through visual storytelling, excellently accompanied by voice acting, soft music - and yes - the sound of the falling rain. Play through this little gem of an adventure as the thunder crashes around you, and the narrator begins. "It's funny the things you remember..." Even though it's an old game, the message still shines through as brilliantly as ever. It will only take you a few minutes to play through it, so make sure you savor it...before it's gone, just like the rain. Or, if you like, sit back and listen to the beautifully composed music. I hope you'll find this to be a story and experience worth remembering.